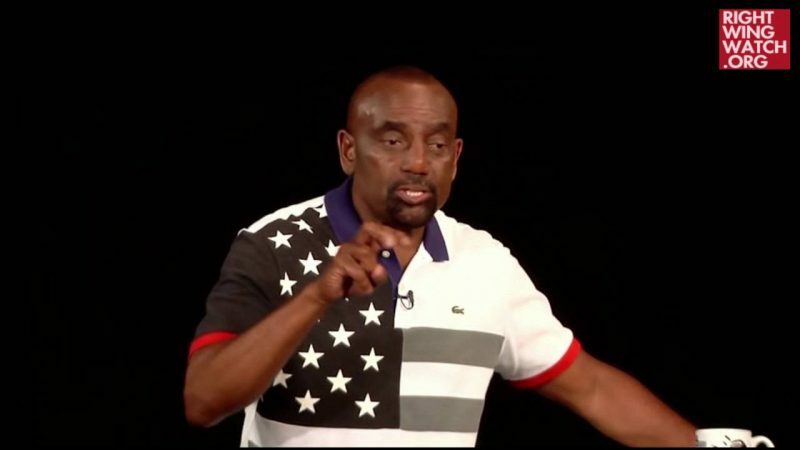 Jesse Lee Peterson is the latest conservative activist to react to Hillary Clinton’s speech tying Donald Trump to the alt-right by attacking Clinton and defending the racist, sexist movement. In a column yesterday in Breitbart (whose former chairman, now the head of Trump’s campaign, has called “the platform for the alt-right”), Peterson urged “conservatives, the alt-right, and all decent people to unite” to fight “evil” in the form of Clinton and Black Lives Matter. He adds that the alt-right is correct in its fight “against the attack on whites and men” and defends the “funny, powerful, and true” writing of Breitbart writer Milo Yiannapoulous, who has blamed mass shootings on feminism. I encourage conservatives, the alt-right, and all decent people to unite. And where you disagree, debate but do not hate one another. As I understand, the alt-right want America and our citizens put first — nationalism over globalism and mass immigration. They mock political correctness and the farcical notion of “racism.” And they fight back against the attack on whites and men. If you disagree, let’s all talk. Our battle, in reality, is not merely “ideological” or “political,” but spiritual. You may have perfect logic, all the right facts and politics, but with anger, you lose. Anger destroys your children’s innocence, debilitates their spirit, and turns them away from you. Anger blinds you to reality and separates you from others. You play “God” when you pass judgment on fellow human beings. Decent people should not be divided. Donald Trump has attracted many atheists, homosexuals, blacks and others outside traditional conservatism who disagree with the radicals’ assault on Christians and men. In Hillary’s speech attacking the alt-right, she read Breitbart headlines from writer Milo Yiannopoulos about feminism, birth control and gun control; even though Hillary pretended to be appalled by the lines, they were funny, powerful, and true. I have no anger. Yet I do not hold back. I strongly tell the truth. At 67, I can yell and shout down the worst, most radical Black Lives Matter agitator, and feel nothing inwardly against her. 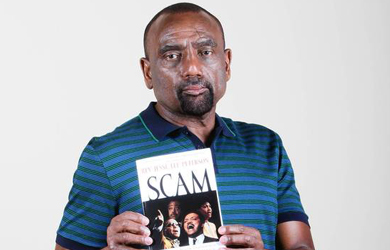 I am not angry at Black Lives Matter, Louis Farrakhan, Obama, Crooked Hillary, et al., although they take so many into hell. I understand the bitter spirit that drives them; they cannot help it. Evil’s job is to do evil. People on the side of good — our job is to fight evil without hatred, to overcome evil with good. Anger without resentment is righteous anger.